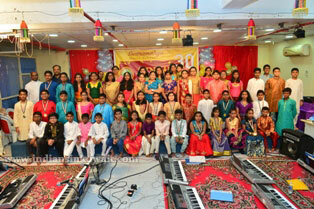 Swaramaliga orchestrated a music event on the 8th of October 2018 to mark its 30th Anniversary and was indeed an amazing program due to the devotion of time and energy by young musicians in their festive wears who brilliantly coordinated with their Guru, Mrs. DSS Daisy Rani. 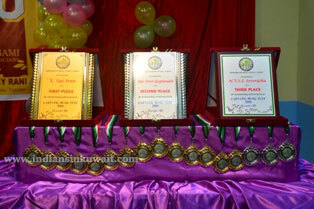 The students presented their talent which was like traditions made trendy than nostalgic. For those who wish to stay active in life, a relaxation is evenly required and our classical music gifts you all the required freshness to translate your divine potential into reality. Our traditional music is the modern buzz word of mental wellbeing. Mr. Charles, who entertained the gathering in many languages including Tamil, Malayalam, Hindi, Telugu and English was absolutely right in mentioning that this event resembles “Thiruvaiyaru Festival”! It was an honour to have Mr.Gandhi, Chief manager of insurance group in Kuwait and his wife, along with Mr. Rajasekar as the chief guests of the event. 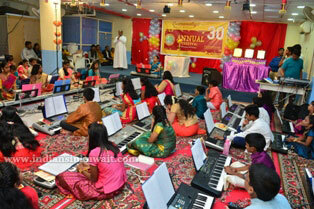 A heart-felt prayer by Rev.Father Albert and a Prayer song sung by the guru gave a divine start to the event. 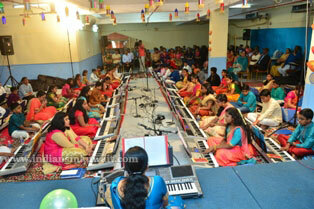 The chief guests along with Rev. Father Albert, the guru herself and the parents of the young musicians lit the lamp to signify the victory of light over darkness in a positive formation. After this, it was the students who took the centre of the stage and amused the whole gathering with their skills, talent and down-to-earth approach towards music gifting their beloved parents. 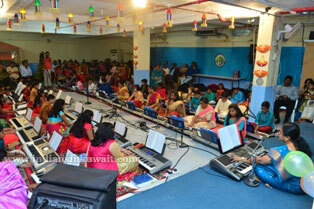 The title song of Swaramaliga, composed by the Guru’s father was enthusiastically played. 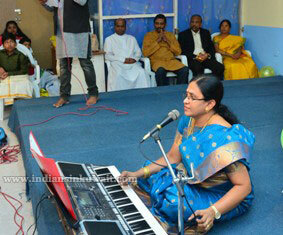 Carnatic music has a rich variety of compositions which starts with the easier Sarali Varisaigal, followed by Geetham, Swarajathi , Jathiswaram and so on and were played by all the students- big and small irrespective of the level they’ve accomplished with utmost sincerity and perfection. In this way, Swaramaliga strongly believes in the fact that one shouldn’t forget his roots even after reaching greater heights. 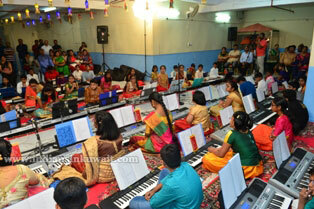 Then the famous English Notes composed by the legendary musician-Mani Iyer was also played by the students. 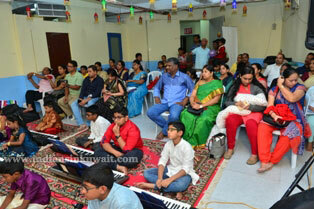 The program delighted as the students began playing other famous songs including “Jeya Ganesha”, “Nanna Munna”(Son of India, 1962), Vande Maataram (by A.R Rahman) and a song composed by our very guru’s mother- ‘Vaani Kalaivaani’. The grand musical session ended with the presentation of Awards and Certificates to all the students who had excelled in the 1st and 2nd level examinations. Finally, all the students honoured their guru to thank her for her immense support and dedication in grooming their musical skills and the guru in turn was kind enough to gift her students with a memento. 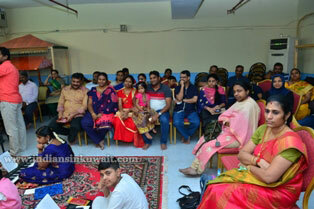 The success of the event is attributed to the endless support of the parents, the warm character and sincerity of our Guru and the zeal of the Swaramaliga students to learn music with perfection.